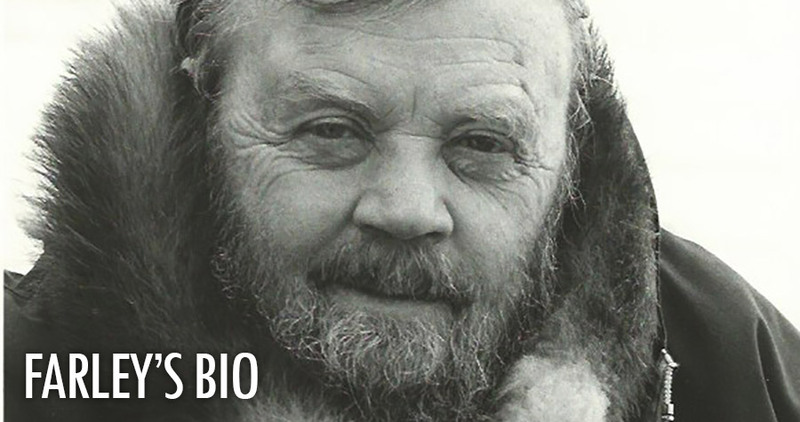 Born Farley McGill Mowat in Belleville Ontario he is recognized as one of Canada's literary lions and a fervent champion of environmental issues. A graduate of the University of Toronto, Farley is remembered not only as an author and environmentalist but also as a soldier, veteran and philanthropist. He saw military service with Canadian forces in the European theatre of operations in World War II and left with the rank of Captain in 1945. Farley began his literary career post the war and published his first book "People of the Deer" in 1952. He was a prolific author with forty two titles to his credit with millions of copies in print and published worldwide. Among his many distinctions were a Stephen Leacock Memorial medal for "The Boat That Wouldn't Float" and was named Author of the Year by the Canadian Booksellers Association. In 1989 he won a Gemini Award for best documentary script for "The New North". He received a star on Canada's Walk of Fame in 2010. He was an Officer of the Order of Canada and received a number of honorary degrees. Among his conservation efforts he will be most remembered for his work with the Sea Shepard Conservation Society who named one of their ships, the MV Farley Mowat, in his honour.